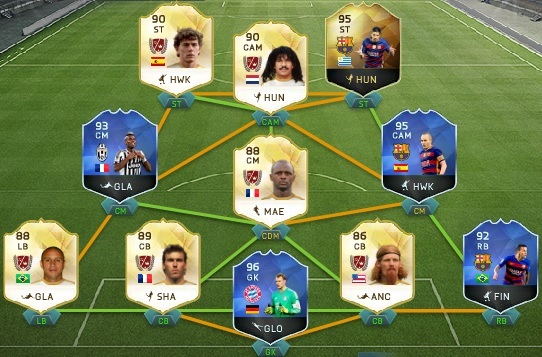 What are your TOTS team plans? 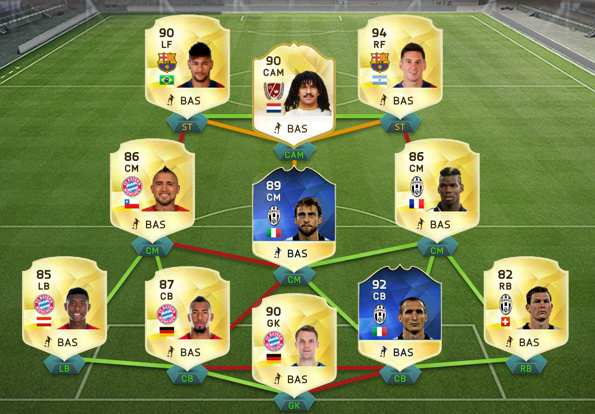 Do yall reckon 500K + selling tif griezmann and sif matuidi be enough to afford tots griez/tots matuidi/legend keeper? This is what I want to build. I have this currently, but have no idea what to do! Any suggestions? Apparently my images aren't working! No idea tbh, I have some substantial first world problems to contend with. 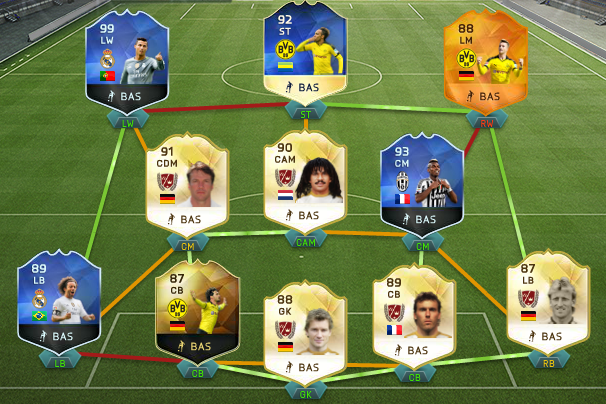 I have two teams at the moment; one worth i'd estimate about 10m coins, and one worth about 50k. Have 1.6m cold hard coins. 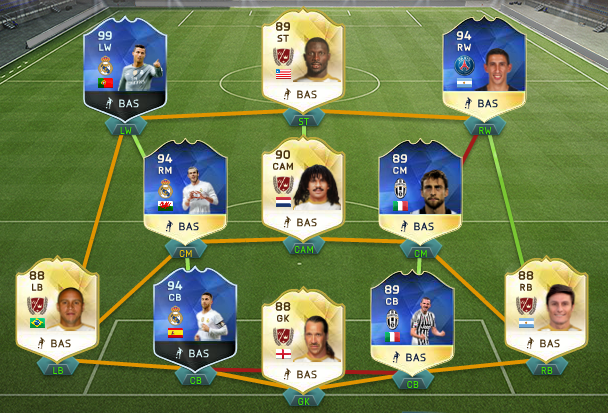 Likely to get George Best for the expensive team, then build the 2nd team up. 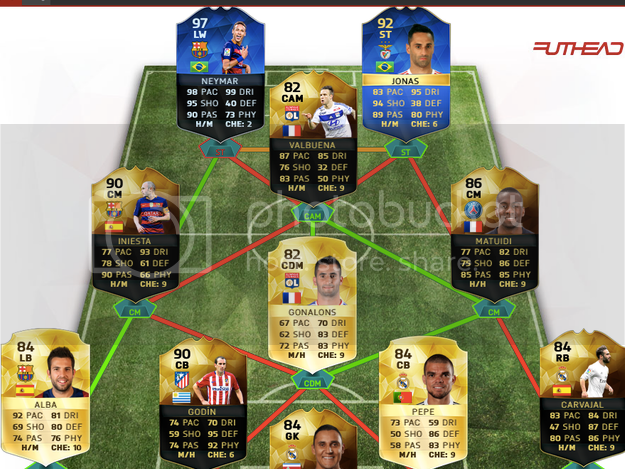 Thinking a few cheap tots cards, and possibly a few legends who are lower rated. 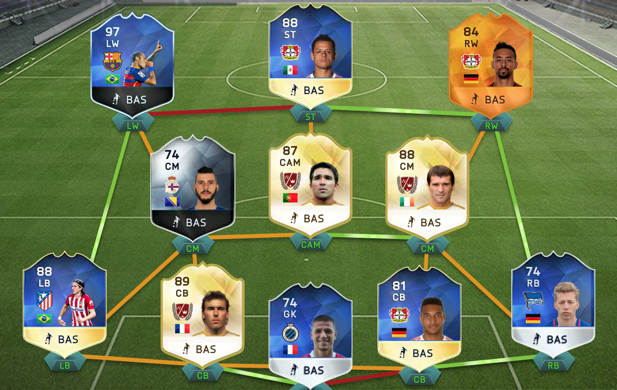 Always felt its a bit silly to spend so much on a team I am only going to use in the gold cup though. 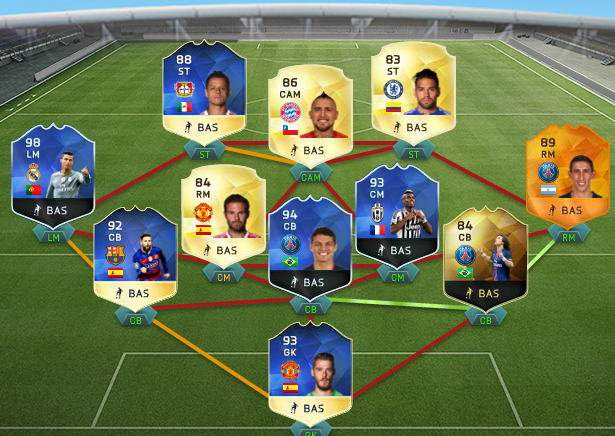 probably get this back but with TOTS Suarez and some blue CM to replace Pogba (he was good... just seem wasted at CM). What will I end up with though I have no idea. His NIF will do, fav NIF cb in the game. Plus Lich is too good for me. I am gonna try out Gullet and see how he is, I usually like smaller agile cams but I have heard too many good things about him. If I don't like him I will either get TOTY Neymar back or try 99 Messi probably and upgrade the rest of the team. Theres still Barz and/or Bonucci to achieve the same thing. 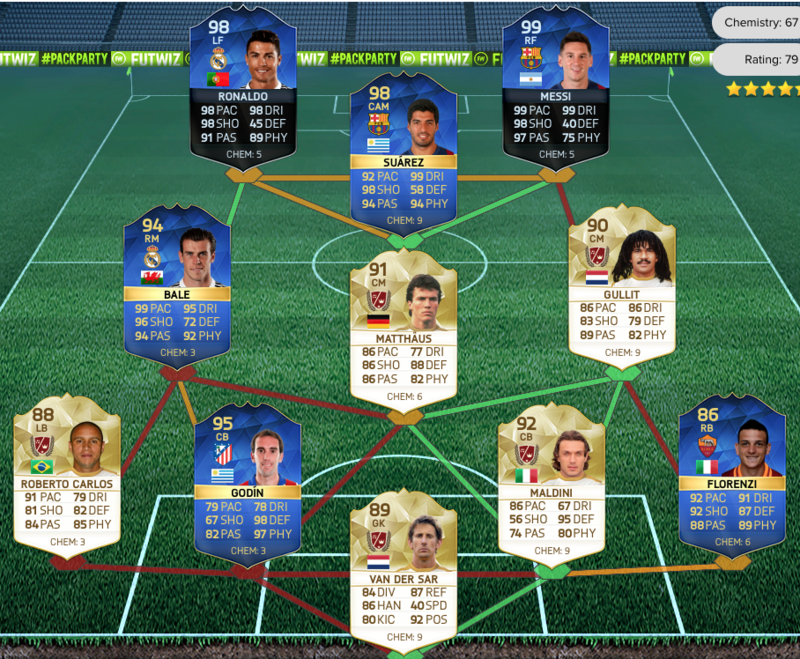 715k or so for TOTS 9g, Cheesio, Pjanic, Florenzi and Kurzawa/Ghoulam and then go from there. Have Gullit, Nedved, Blanc, Moore, Lehmann and Blugba in the side already and IF Candreva as a stopgap/potential final option at RW in False 9. Gonna be rotating like this with the players I get. 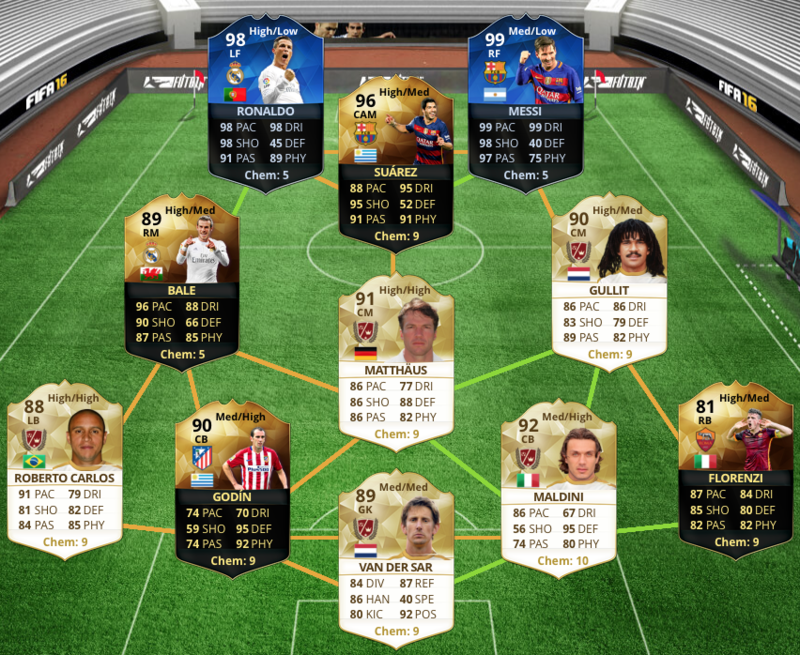 Hoping I can get Godin, Busquets, Bellerin, Cech, Lehmann, Hierro, and Layun for 1.1m and have some left over for maybe Schmelzer, Monreal, Jonas etc. ...aaaaaaannnndddd FIFA 17 is out. I change my teams daily too... I get a team that looks great and then I notice it has 6 legends in one team and 5 in the other, so I have to change it so I have an equal number of legends in both.... Stupid **** like that. 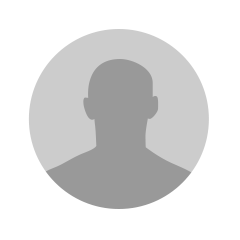 Challenging for forum award: "Richer than Alex Solm and more indecisive than Coach"
Although since Jonas won't be in packs for ages, might change depending on players prices.